Over 50 years of experience has helped give Vacalon a better understanding of what our clients need to be successful. This pushes us to selectively expand our product line by aggressively pursuing and developing unique products. However, as technology continues to change at a rapid pace we know that we need to not only look within our company; but look around the world to find companies with cutting edge products. That is why in addition to providing our Vacalon Brand products we have built strategic partnerships with other manufacturers that share our core values. Vacalon has been providing innovative dental products to customers worldwide since 1959. At Vacalon, we are highly selective in the products we offer and we continue to invest in the development of new unique products and education. We strive for our growth, and our customer's growth; we will help you get ahead of the competition by offering better products and support. Vacalon's wide selection of quality products are recognized and used by dental professionals worldwide. 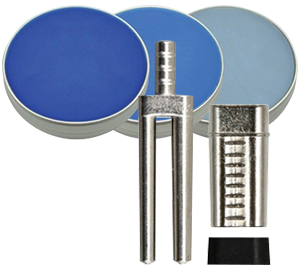 BK-Medent specializes in dental laboratory products such as porcelain mixing palettes, porcelain instruments, porcelain accessories and waxing accessories. Based in Korea they export their products to over over 40 countries around the world. Their products are appreciated by their customers for their high quality and cutting edge design. To ensure continued quality BK-Medent maintains the highest quality standards, including ISO 9001, and is continually investing in research and development. BK-Medent has devoted themselves to becoming number one in their field by delivering the best products to their customers. In more than 40 years, Georg Schick Dental GmbH of Germany has grown into a company whose products are highly regarded in diverse international markets. By developing and implementing technically sophisticated solutions for the dental laboratory, Schick has developed into a modern global company. As a service-oriented company, their goal is to keep developing technology, products and an organizational structure. This paves new paths for the technologies of tomorrow while at the same time safeguarding our future and the future of their staff. With over 30 years of experience in the dental laboratory field, N&V Belgium has a clear vision into the problems dental technicians are faced with on a daily basis. When N&V was founded in 1998 their goal was to develop and manufacture product that would bring dental technicians very obvious advantages. Through precision, reliability and ease of handling N&V products can be found in over 35 countries, where they have proven their usefulness for quality and profitability. As the pioneers of rapid cast investments N&V's products, such as Z4 and MG-Vest, are now well established around the world. At Vacalon we continue to seek exciting new products that are manufactured by modern companies. If your company is interested in discussing the possibility of future cooperation, and are looking for a strong partner to work with, then please contact us. All correspondence will be treated with the utmost privacy and confidentiality.